Hosts Mary and Blake discuss the sixth episode of “The Leftovers,” entitled, “Guest.” In this podcast, you’ll learn about: why “Nora Durst” holds weight, work conferences are crazy-town, Beyonce’s missed opportunity, what’s real/fake for Nora, there a new JATE brewing?, and how the listener feedback totally blew us away this episode. 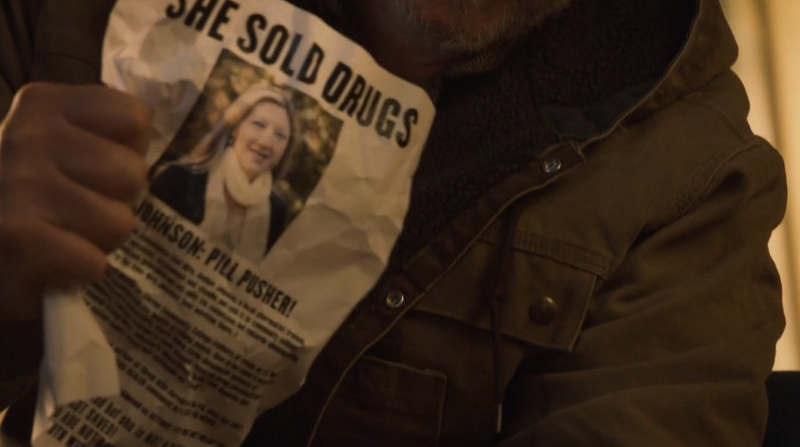 “This is the screenshot of Mrs. Johnson’s flyer that Mr. Johnson shoved in Matt’s mouth in 1.03. You can see Johnson written on it. This is the same Mr. Johnson who is the bearded guy that Holy Wayne’s recruiter, Casper (played by Tom Noonan), is hanging out with all episode prior to Nora’s hug from Wayne. It’s implied he also was hugged by Wayne since he was crying in the elevator at one point in the episode. He later said Good Morning and appeared happy when passing Nora on street.